Yes. I am tempted to dress my cats similarly. Best known for their cross cultural inspirations in music, fashion and art, Viet and Japanese designers Thuy Pham and Miko Aoki founded United Bamboo in 1998. With a relationship stretching close to 10 years, the one time architecture student Pham wrked with Aoki, a New York Fashion Institute of Technology alumn at Bernadete Corporation; Even their, theirs was a collection that best epitomised the 90s. 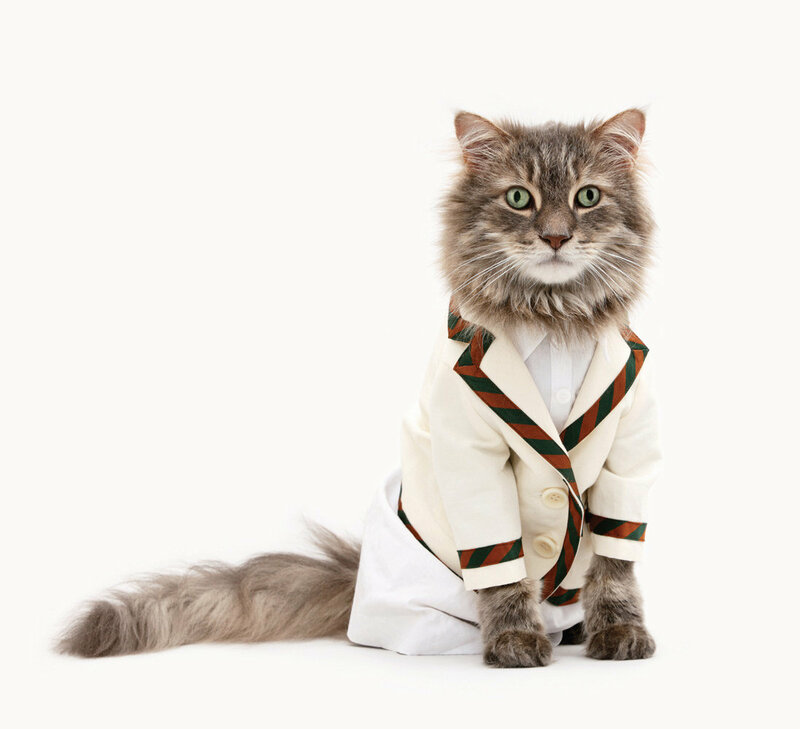 Since then, they have infused artistic expression in their collections exemplified in one of their biggest marketing coups- an annual calendar of well dressed cats [More of this on T-magazine]. Of course, it’s easy to write “artistic” fashion designers off as flash in the pan “flavour of the month” types, but the pair has not only used media as their foundation for their trendy yet classic men’s looks but also strengthened their reputation as avant garde apparel maestros in the underground art scene with their 2003 launch of United Acoustic Recording label. In 2004, they set a new milestone once more as they broke into New York fashion week, spreading unique Japanese looks to the greater caucasian market.